Digitizing multiple documents at once seems like it should be an easy process with any scanner, but without a responsive scanning tool connected to your document folders, you may end up spending a lot of time rescanning documents, manually separating documents or dragging them into the right folders. Laserfiche Scanning’s Standard Mode enables you to digitize multiple paper documents at once and pre-set image enhancements and document properties so you get clean, organized digital documents every time you scan. This instructional video demonstrates how to use and set up Laserfiche Standard Mode to digitize and processing large volumes of documents in one go. 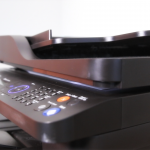 Are you preparing to take your organization paperless with a scanning project? Get your copy of the Ultimate Guide to Document Scanning and get started today!